Perhaps when we think about getting massaged we primarily think of relaxation, stress relief or perhaps just pure indulgence when on holiday or need that bit of pampering. When we discuss Taoist Self Massage, or Chi Self Massage, we need leave behind our current concepts of massage. Massage as many of us know it, is usually just pure muscle manipulation. With Healing Hands Massage we focus instead on the manipulation, and movement, of our Chi (internal energies). It is believed that it is this movement and manipulation of the Chi which brings about healing. This massage aids the strengthening and rejuvenation of our internal organs and the sensory organs i.e. skin, tongue, eyes, ears and nose. By practising Taoist Self Healing Massage you can develop abundant good health. You are going to gain, not only the physical benefits of muscle manipulation (traditional massage), but also learn to utilise the methods to move the Chi. Not only that! 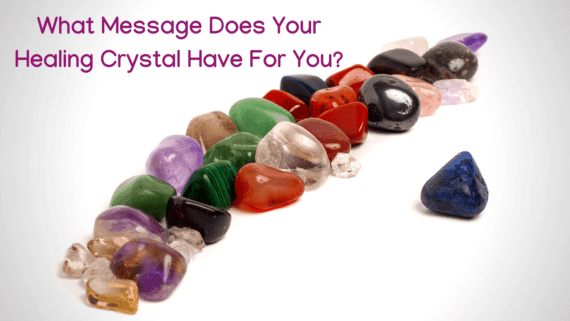 You will also be shown the techniques to clear and open energy channels so you can positively manipulate and direct the Chi to the specific areas of your body which requires healing. What Is The History Of The Healing Hands Massage. For more than 5000 years this Taoist practice was a heavily guarded secret! It was only to be passed down from a Master to a Student. Often each Master was unaware of the full methodology. He was required to also learn further techniques from other Masters and vice versa. This strategy ensured that no one ever knew if he/she had actually gained the full Taoist knowledge of Chi Manipulation. You could never offer to be an expert if you never knew if you had all the knowledge! It was largely due to one man, Master Mantak Chia. It was he who determined that these methods should be widely accessible to everybody, rather than the privilege of a few. He claims that during his research of Chi Manipulation, and the lessons he had been offered from other Masters, he had pieced together the entire system of Taoist Self Healing – the Healing Hands Massage. He spent many years drawing it up into a logical routine and testing it with other Masters. It is said that the methods described in this health system are the factors behind the youthful appearance and abundant good health shared by Taoist Masters. The same methods that will be shared with you today! The Foundations Of The Healing Hands Massage. The prevailing thought is that the foundation knowledge for Chi Self Healing is the purification and balancing of energy and the eradicating of negativity and stress. 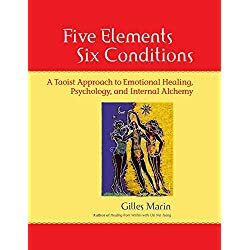 It is believed that negative emotions, and their built up energy, is the cause for decline of bodily function and any ill-health within the body’s organs and nervous system. Taoist Masters state that by daily practice of the following 5-10 minute regime you will be able to strengthen and heighten your senses (vision, hearing, and taste) as well as clearing stored toxins from the internal organs, relieving stress and clearing stored negative emotions. It also aids revitalizing a healthy complexion while also, for those in a relationship or looking for one, increases and improves libido! 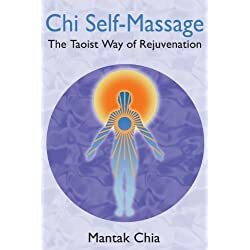 Master Mantak Chia went on to write many bestselling books based upon Chi massage, with his most widely read and distributed entitled “The Multi-Orgasmic Man and Sexual Reflexology”. Before I leave you with the Healing Hands Massage I attach a quote from Felice Dunas. It is flippant but universally true. 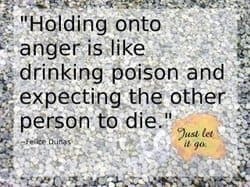 It shows what storing negative emotions truly does to us as people! You can read a post on ways for how to move on from the past. Imagine washing your face with gentle circular motions. Using the palms of your hands gently rub your face 18 times in a continual clockwise circular motion. Then repeat 18 times anticlockwise. Cover your ears with the center of your palms. Your palms flat and your fingers pointing towards the back of your head. Now cross your index finger on top of your middle finger and make a whipping motion (your index finger tapping against your middle finger). Do this 36 times – you should feel the vibration in your eardrums. Gently place the heels of your palm on your closed eyes, fingers pointing up. Gently massage in a circular motion – 18 times clockwise, 18 times anticlockwise. With your mouth closed gently, but firmly, tap with fingers – 18 times top front incisor area, then 18 times top molar area, 18 bottom front, 18 bottom back. Use both hands and in unison with each other. Using your thumbs – insert into nasal cavity and massage the nasal partition (the middle) with upward and downward movements 36 times. Place your palms on top of the kidney area and gently press in and down. Hold for 5 seconds and release. Then repeat this movement for a total of 36 times. Place your left hand over your right. Place hands palm down on your belly button and gently massage with firm slow circular movements 18 times clockwise. Then place right hand over the left hand, palms down and repeat in an anticlockwise direction 18 times. Place your left barefoot on your right thigh. Massage the sole with your right hands fingers. Rub forward and back from the bridge (where the toes begin to the heel) firmly 36 times. Now switch your right foot onto your left thigh and use the fingers of your left hand. Note: for the feet this is to be done as firmly as you are able. As you probably expect, the Taoist Self Healing massage is based upon the meridian system and acupressure/acupuncture points. However there is no need to worry about if you are adding pressure and movements in an exact location. The movements and directions simply help to move the Chi. Focus on the treatment as detailed above and your movement will stimulate the entire bodily energy or Chi. Many thanks for your comments. I am very happy you enjoy our blog. I tried a few of the massages you listed below and liked most of them but I have a question. Are we supposed to do all of the massages in the order you listed? Or is it okay to pick and choose which ones we like? I don’t want to do the ear one because I have really sensitive ears and don’t want my hearing to become better than it already is. Already sounds hurt my hears that other people have no problem with. I’m also too sensitive to smells, so I’d rather not improve my sense of smell either. Its always best of you do all the massages in the order explained…however if some are uncomfortable and disliked then please remove them and focus on the others. Hi! I like your post! And I love massages! They really can relax you. Especialy they are good when you are in stress.Thanks for the tips how to do massages I will definetly try them all. Aded your page in my favorites will be happy to read more your new posts. Thanks. Many thanks my friend. I’m glad you enjoyed the post and pleased to know you’ll be visiting more often. I love massages, I’ve learned a couple of acupressure techniques that really help me with headaches and migraines, so I will definitely try the techniques you described in your post, they sound very relaxing and mindful, something perfect to do before bed to ease falling asleep, or generally to relieve stress. Great article, very interesting stuff! Jason this Taoist self massage was quite relaxing and clearing. I feel like I am centered now. I was a little slow doing this as I went along while reading the steps, but I still felt like it worked, it’s meditative as well. 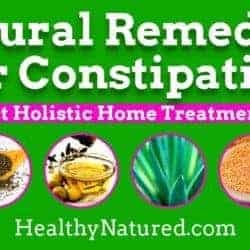 I’ve been studying naturopathy on my own for the past couple of years and have learned and practiced self massage, not only for the body but for the mind as well. This routine is very systematic, I am a little curious as to the repetition of 18 circular movements, is their a cultural or Taoist tie to that number? Hi Jason interesting post on Taoist massage. It seems that a lot of the eastern practices are becoming very popular in the western side of the world kinda like East meets West. I have never heard of this so it is good to know and what is incredible is that you can actually do it yourself on different parts of your body. I always tend to think of massages mainly for your back and legs but this one post has shown me that it can be done elsewhere thanks for sharing. Keep up the good work. 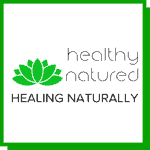 Hi Jason your post on Taoist massage is very informative and detailed. I have never heard of this but it is good to know. A lot of the eastern health practices are becoming popular in the western side of the world and that is great. Kinda like east meets west. What is amazing about this is that you can actually do this yourself instead of paying someone to do so saving you a little bit of money in the process. Great stuff. Keep up the good work. I’ve never heard of the Taoist self massage before. Sounds interesting and relaxing and energizing. I’ve done reiki, but never had a taoist massage before. 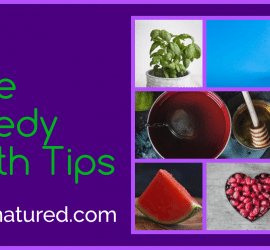 How long does it take, and can it help with health issues, as in curing? Is this also about releasing blockages? I thought I knew a lot about this stuff, but you learn something new everyday. Thanks for the info! Thanks for your comments. I really encourage you to try it. In terms of the massage it only takes 10-15 minutes. 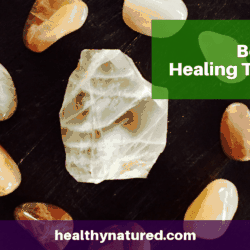 It is very similar to Reiki in terms that the energy is used as a means for healing and Yes it is definitely an awesome way to clear blockages. The main difference is that in Taoist Self Massage we are manipulating or moving our own Chi to aide healing and clearing of blockages. I really enjoyed reading your post on healling hands massage. People just don’t realize how negativity can compromise the body and how positive attitudes do great things for you. Slowing down your life for a little tender care is revitalizing to say the least. You’re absolutely right, we need to look after ourselves. Negativity is a debilitating energy and stops all progress. 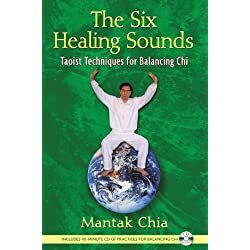 These techniques truly add in releasing that energy and bringing a more balanced Chi aiding health and vitality. Wow! I never knew these techniques existed. After trying a few I feel really relaxed. I like the way you describe each area on its own. Liked your post! I’m really pleased you decided to have a go with this technique. They are brilliant exercises and, like you say, they really do release the stress and relax you. Hope you keep going with them! I’ve never even heard of these techniques. It was fun to try and quite relaxing. I have never heard anyone say anticlockwise either. I know of ways that I can massage my hands and feet but I never thought about my teeth, ears, and eyes. who knew? I learn something new every day. Thanks for the knowledge. Thanks for taking the time to let me know how you got on. I’m glad you tried the techniques. In regard the clockwise and anticlockwise movements – it’s important as the energy released with each movement is different and provides equilibrium and balance within the body. Hope you keep going with it! This is a very interesting site and I recommend to everybody reading this that you give some of the techniques a try. You will find something that works for you. Thank you for your comments. I’m pleased that you found it useful and I’m glad to have your recommendations. this was actually quite relaxing and interesting to do. I remember when I was really young one of my math teachers showed me similar massages like these we could perform to concentrate better. I also read that breathing in different or specific ways can help a lot. Thanks for your comments. Yes there are many similar concepts out there and if it’s useful always follow them! Breathing is very important, especially in mindfulness meditation (click here) as it allows you a central focus to keep your mind from active thought. I read your article about Healing hands massage. This is one of the best articles I have read so far. After reading your article, I gained a valuable knowledge and insight about what healing hands are. You have pretty much covered all the valuable details that inspire the readers about what healing hands are. Hi Shivaram, and thank you! I’m glad you found the information useful. I encourage you to give it a go and see how you feel. If you do try the Healing Hands Massage please let me know how you got on. I appreciate you taking the time to write in.